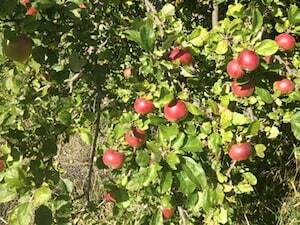 If you have driven between Canberra and Bega recently you may have noticed that all the road side apples are coming into fruit. 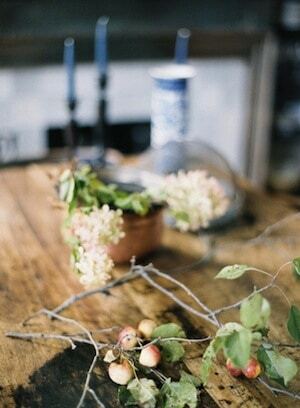 This is good news for anyone who likes to make free cider or anyone who is having their wedding this time next year and is looking for something unusual to include in their flowers. 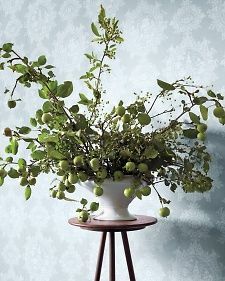 In truth the apples were probably best to use for floral arrangements a few weeks ago, if they are too ripe they are more likely to drop off their branches. Above are some apples growing between Candelo and Bemboka. 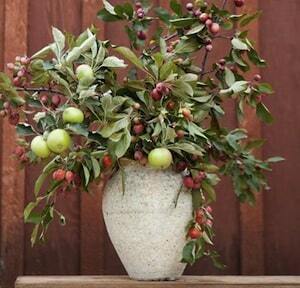 These are red but I have also seen green apples in places if that will match your colour scheme. 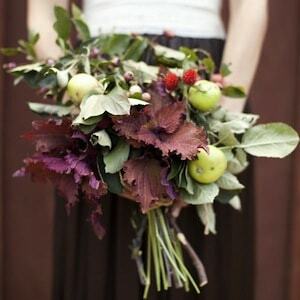 Apples included in a bouquet. 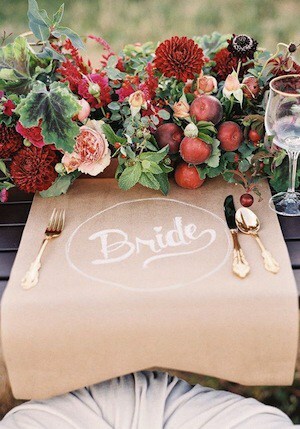 Here apples are included in the table setting. 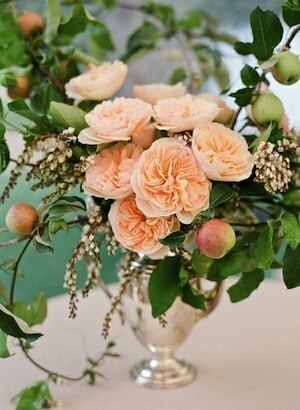 This entry was posted in Blog, Flowers, Ideas for brides, Make, table setting, theme ideas. Bookmark the permalink.